Lavila is a villa project located in a prime location located at Nguyen Huu Tho, Phuoc Kien, Nha Be, Ho Chi Minh City. Adjacent to the heart of Saigon South - Phu My Hung. The project is invested and developed by Kien A group. Collaborate with partners: Cosaco (Building), SALA (Landscape Design), SWA VietNam (Architectural Consulting), CBRE (Management and Operation). With the advantage of the Lavila project winding the contiguous Blue Shrimp River on the east side of the project and the landscape lake park on the south side of the project along with the breakthrough French-style villa design with classic breath-taking Romantic, combined with modern materials. Property for sale at the Lavila project includes: 30m villa shophouse, garden villas, lakeview villas. In the near future, Kien A will continue to introduce more than 100 villas of Lavila phase 2. Standard area: 5.5mx 17.6m, construction specifications: 1 ground 2 floors and handover complete outside surface, bare finished inside. Other projects are doing business in Saigon South: The View condominium project in District 7. The highlight of the Lavila Kien A project is the landscape lake park designed from the well-known Dutch Keukenhof Park. 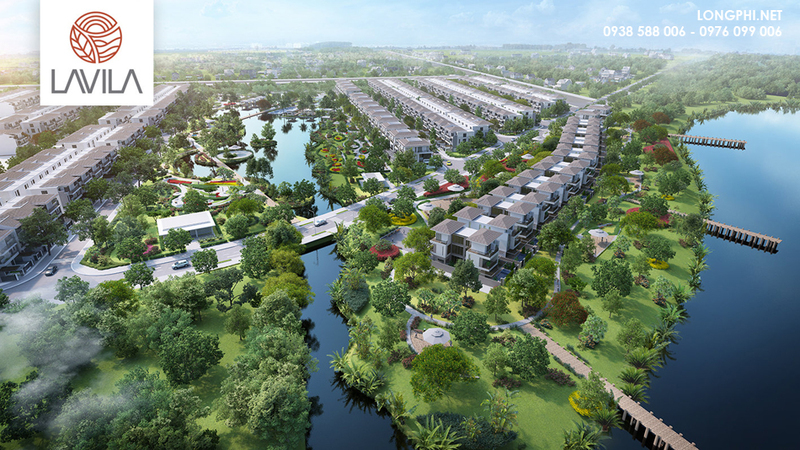 With more than 40,000 square meters of landscape park, Lavila is the most unique residential ecological project in Saigon South. Lavila project with prominent in design. The idea of ​​designing a landscape park of 4 hectares Lavila Kien A project is inspired by Dutch Keukenhof Park. Lavila project of Kien A in Nha Be, HCMC, perspective photo. 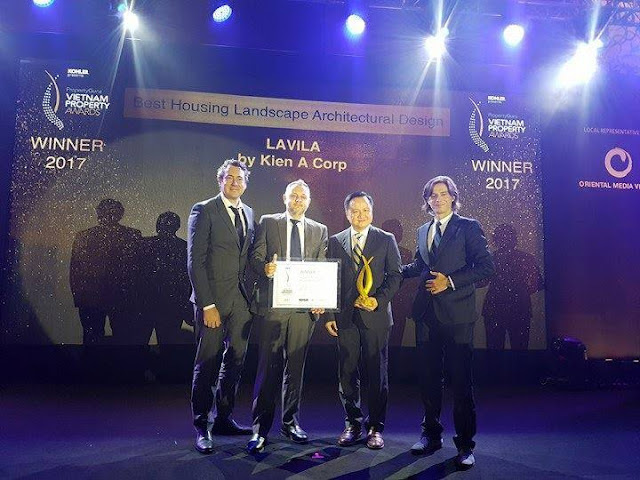 Representative of Kien A Group received the VietNam Property Awards 2017 for the category of residential residential area with the best architectural design. Mr. Nguyen Vinh Tran, General Director of Kien A said, "The Lavila project in addition to green space is many times higher than the center, apart from the quality of life guaranteed, Lavila villas also bring values. Increasing both now and in the future for each buyer. If I have the time, I would like to invite you to come and experience. " 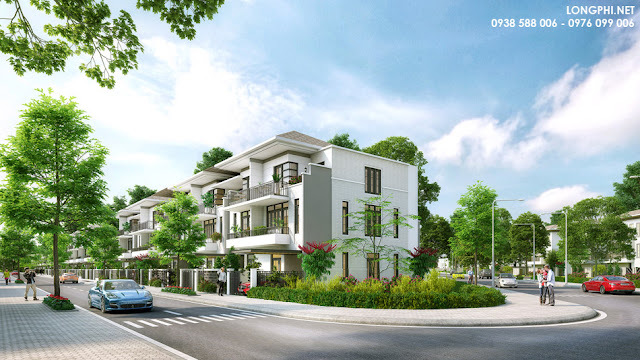 Possessing an ideal location in Saigon South, Kien Giang Lavila villa connects conveniently with the existing centers of Ho Chi Minh City along existing traffic routes such as Nguyen Huu Tho and Pham Huu Lau Street, 15B Road . Only 15 minutes from the city center, Lavila residents have easy access to the best entertainment, shopping, medical and educational facilities. Phase 2 of the Lavila project offers garden villas with exquisite design. Enjoy the full range of natural advantages such as the fresh environment of the Saigon River, the inspirational landscape of modern Dutch inspired Keukenhof, civilized, high class and peaceful community of residents. 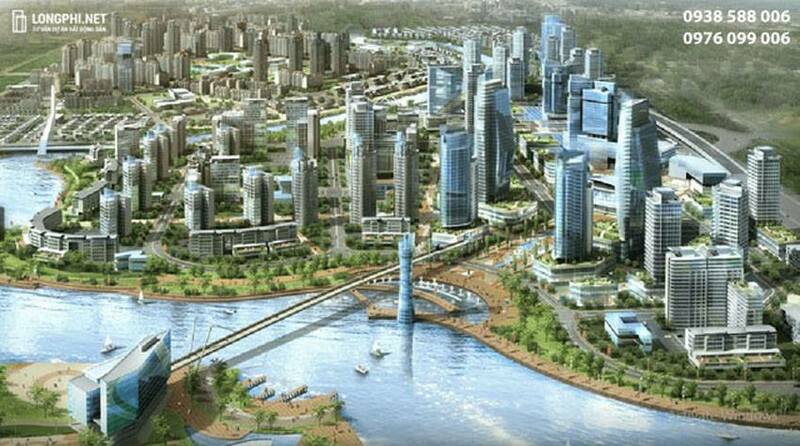 The project will be managed and operated by CBRE International Unit (USA), a leading unit in management and operation of international real estate projects. Lavila villas in SaiGon south (perspective photo). The Lavila project will again stir up the luxury villa segment in Saigon South. According to the Sales Agents of Lavila: this is a good project in Saigon South with attractive price, good quality, design and operation. So, Lavila will continue to warm up Saigon South. Other project: Adi lucky home condo. The share of a Lavila project manager said: "Customers who come to Lavila project are satisfied with their design, landscape and living environment also the price. This is the ideal settlement or investment, sales speed of the past time has said it all. 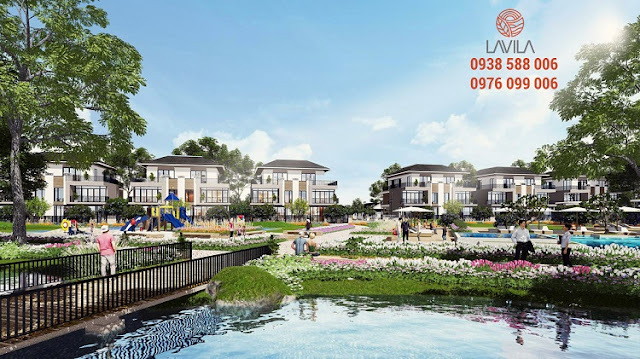 Customers interested in the project Lavila Kien Á, please contact Hotline 0938 588 006 - 0976 099 006 for more information, get quotes, payment methods and sales consultants.